First proposed to UNICEF in 1980, the annual State of the World’s Children report has been published every year since. From 1980 to 1996, the P&LA partnership was responsible for researching, writing and producing the report and working with UNICEF offices around the world to distributed copies to governments and media in more than 60 languages. The accompanying press kits, also produced by P&LA in several languages, generated world-wide media coverage for UNICEF’s cause and for the child survival revolution (see below). Over this sixteen year period, the prime focus of the State of the World’s Children report was on arguing the case for, and reporting progress towards, the ‘child survival revolution’ being promoted by UNICEF and its Executive Director, Jim Grant. The aim was to halve the toll of child deaths, worldwide, by mobilising all possible resources to reach out to hundreds of millions of children with low-cost interventions like vaccines and oral rehydration therapy. As a result of this effort, led by UNICEF but involving thousands of people and organizations world wide, the proportion of children protected by immunization rose from below 20% to almost 80% and the proportion reached by ORT climbed from near zero to almost two thirds. Boosted by Jim Grant’s call for a World Summit for Children, this sustained effort by UNICEF and its partners is credited with the saving of tens of millions of young lives and improvements in the healthy growth of many millions more. Summary of the core messages of the 1980-95 State of the World’s Children reports. Searchable archive of all of the State of the World’s Children reports from 1980-81 to 2016. A Mighty Purpose: the 2015 biography of Jim Grant by Adam Fifield (The Other Press, New York), telling the full story of the child survival revolution. 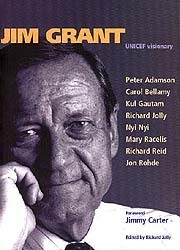 The Mad American: Peter Adamson’s 1997 UNICEF lecture on Jim Grant’s achievement. 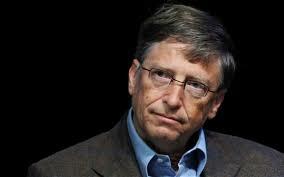 Jim Grant’s Child Survival Revolution: video tribute to Jim Grant by Bill Gates. Jim Grant, a remembrance: video address by Peter Adamson at the Memorial Service held for Jim Grant in 1995 at the Cathedral of St. John the Divine, New York. Jim Grant – UNICEF visionary: A tribute by Jim Grant’s colleagues, including essays by Sir Richard Jolly, Jon Rohde, Kul Gautam, and Peter Adamson. Also available as a free pdf download. A Child Survival Revolution: Jim Grant’s opening address to Heads of State and Government at the World Summit for Children, UN General Assembly, New York, October, 1990. A War Being Won: Jim Grant’s presentation of the 1994 State of the World’s Children report to President Clinton, The White House, Washington, D. C., December, 1993.